Any parent involved in the youth sports world has probably witnessed cheating—by adults. It usually begins with parents and coaches stacking teams, even at the youngest age levels. 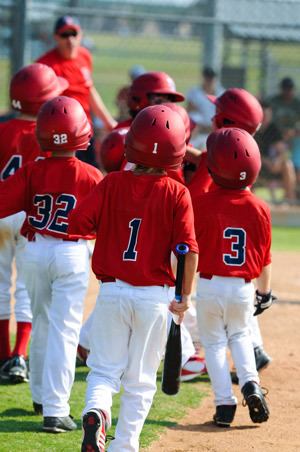 Although it may not be illegal, when adults successfully stack teams, kids are cheated out of an honest, competitive experience where good effort and teamwork are emphasized and instead have one where adults manipulate the system just so their teams can beat up on less experienced teams. That’s not competition, it’s manipulation; it’s cheating kids out of learning the life lesson that good effort leads to good results. A memorable example of adult manipulation in youth sports is from the 2014 Little League World Series and the revelation that the adults in charge of inner-city Chicago’s Jackie Robinson West team knowingly recruited players from outside their boundaries by manipulating documents and area maps. This cheating happened on an international stage allowing the JRW team a chance to play in the Little League World Series. An investigation revealed that not all players were from the inner city as we all were led to believe; many were from the suburbs. As a result, several kids from the inner city were cheated out of an opportunity to play on that team. These kids got to play in the LLWS championship game against South Korea. South Korea won. It was a great game; the kids played well and showed great sportsmanship. It was everything that youth sports should be about: competing with character! There were parades, newspaper articles and television coverage. The team even met the president at the White House. But all the celebrating was based on a lie, not on the fact that a certain team put together the best they had to work with ― and overcame the obstacles necessary ― to reach the highest level of competition in their league. It leaves me with an empty feeling for the kids on the Chicago team. You can’t blame the kids; they don’t schedule games or recruit players. When youth sports is presented with all these bells and whistles, it becomes a slippery slope for many adults who are lured into thinking that winning a high profile tournament means something more grand for 12-year-old kids or for themselves. What it means is this: After these kids have been treated like superstars for a few weeks, reality sets in that they really aren’t superstars and must go back to being a normal 12 year old. Sure, adults can help kids find perspective by teaching them to have humility and gratitude for the great opportunity they were given. But when adults cheat to make it all happen, their words become empty and meaningless. No matter what the adults tell these kids now, they have basically delivered a lie. It’s easy to be in denial about cheating for a while, but as time passes, the truth remains. The kids are always the ones who pay the price. Unfortunately, as they grow older, kids who have been victims of adult cheating in sports will have to decide if they really won that championship fair and square or if they had an unfair advantage because of the self-centered actions of adults. I’m sure kids would rather value the memory of coaches and parents who played by the rules and taught them to have strong character, and that real winning is knowing you did your best and played the game honestly, whatever the outcome. Kids understand youth sports perfectly, but many adults do not. Along with developing skill and physical fitness, youth sports presents one of the best opportunities in today’s society to teach kids the lessons of life while doing something they enjoy. This is best accomplished when parents and coaches lead by example. Kids have a tendency to follow the example of adults, good or bad. Actions speak louder than words! When kids grow up and follow an adult’s bad example, it becomes clear that winning that championship as a 12-year-old kid didn’t really mean much after all. Chuck Schumacher is the author of “How to Play Baseball: A Parents Role in Their Child’s Journey,” available at www.chuckschumacher.com (signed copy) or Amazon. Chuck has 20 years experience as a youth baseball coach and 40 years experience in martial arts. In 2006, he opened Chuck’s Gym in Franklin, Tenn., where he teaches baseball and Okinawan karate. You can contact Chuck at [email protected].